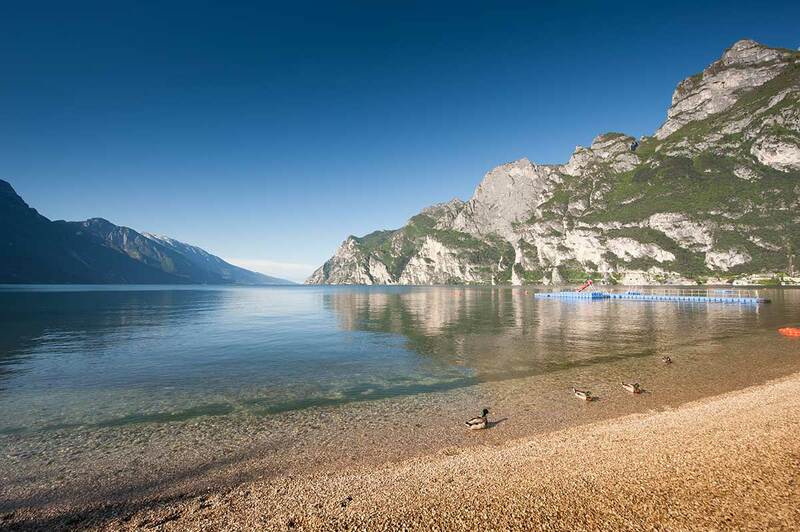 Lake Garda covers an area of 50 km, ranging from a width of 1 km to 16 km from one side to the other. 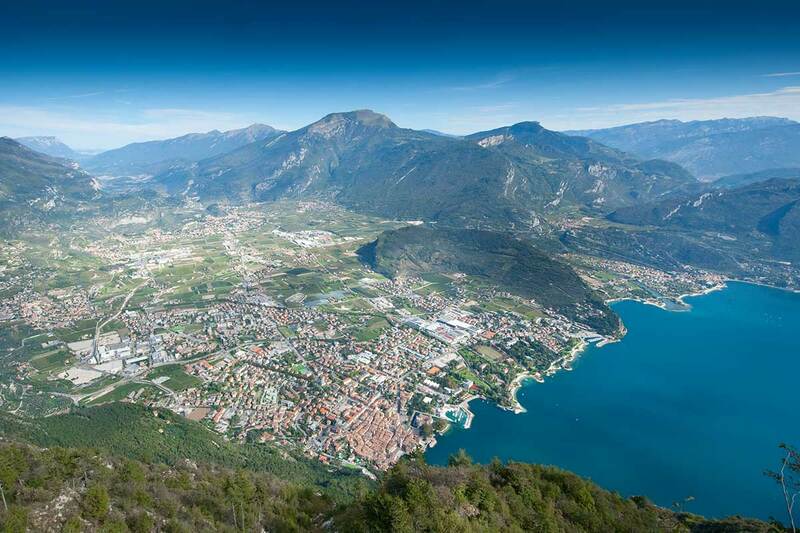 With a total area of 370 km² it is the largest of the Italian lakes. The lake’s large surface mass helps to temper the climate, giving milder temperatures in winter and less persistent rain, with warm summers interrupted by brief storms. 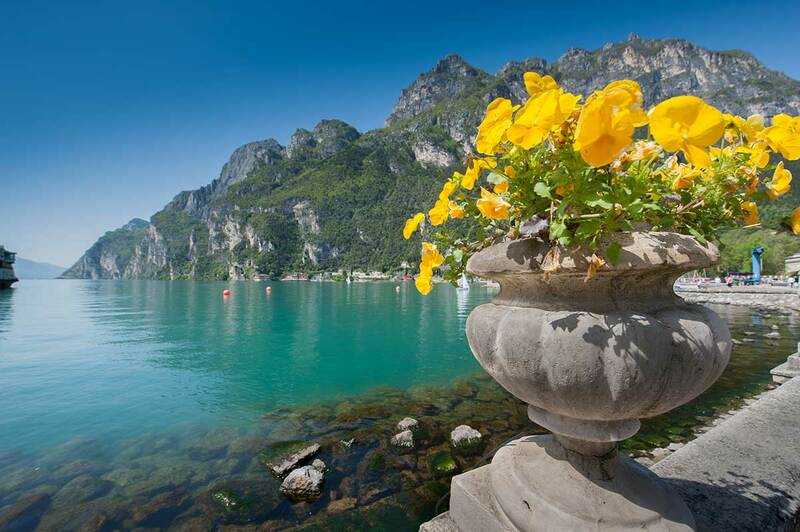 The natural flora along Lake Garda is a veritable paradise for botanists, thanks to the mild climate along the lakeshore and in the surrounding mountains. The extremely diverse species include wild and cultivated plants such as olive trees, vines, walnut and chestnut trees, and citrus fruits. 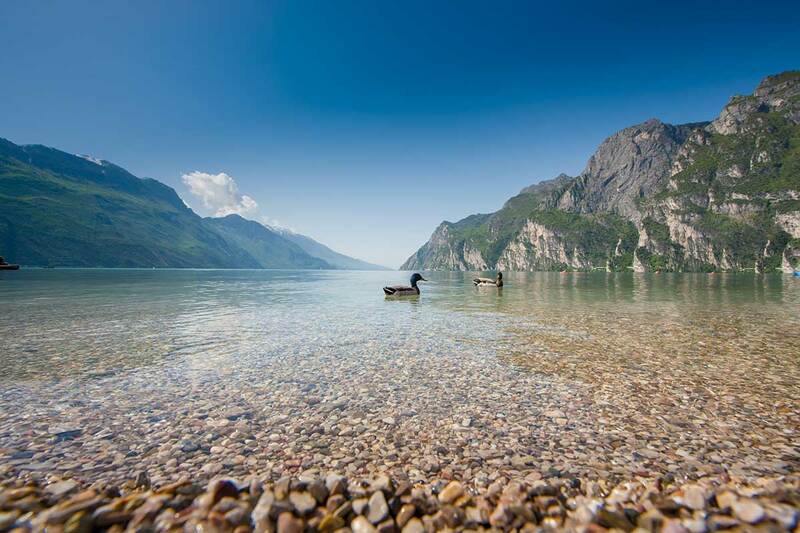 Hotel Gabry is located in Alto Garda, the northern part of the lake and technically in Trentino. Here the contrasting harmony between lakeshore and mountain create landscapes to take your breath away, with mountain peaks reflected in the clear waters, surrounded by the scent of lemons. 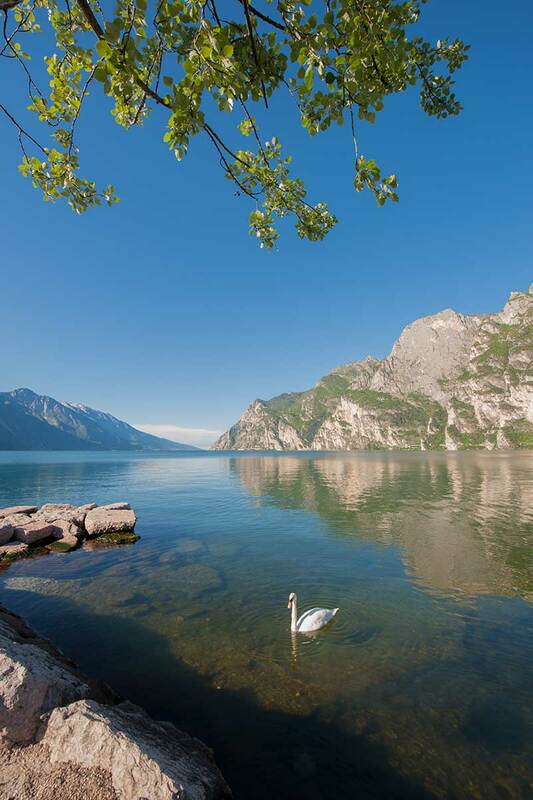 Positioned at the northwest corner of the lake, Riva del Garda is the principal town of the Garda Trentino area and one of the most desirable destinations for visitors from all over the world. 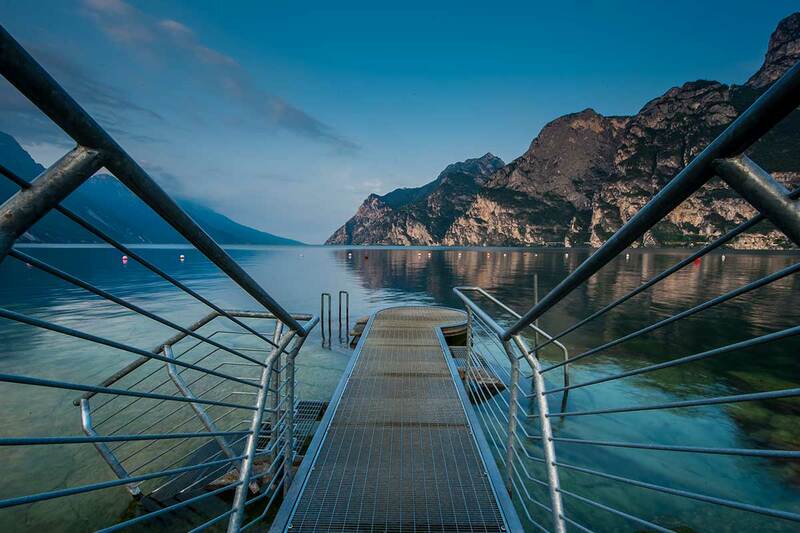 Riva del Garda is a key center for water sports like sailing and windsurfing – not surprising considering it has two fine harbors and a pleasant wind which keeps the temperatures just right. The town’s position is ideal for biking, with bike paths leading to Lake Ledro, the Varone waterfall, and Bastione as well as dozens of panoramic viewpoints sure to take your breath away.